Wowen in willow with earth underneath the seat for the plant to grow. 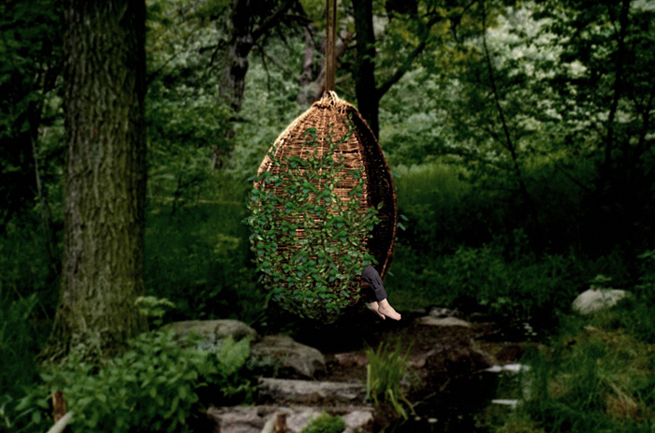 You can swing and at the same time smell the plant. 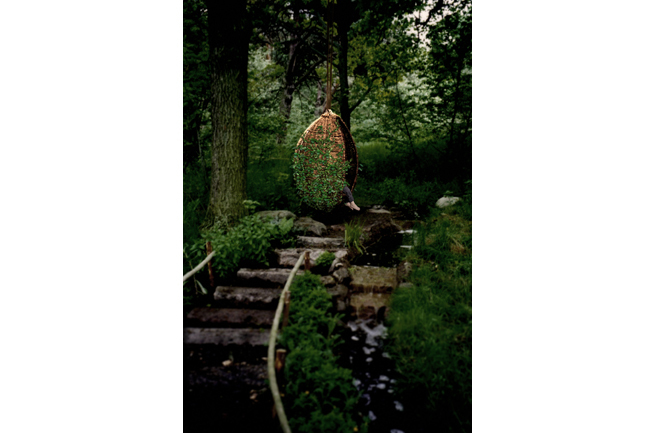 Garden by Julie Toll, Great Britain, At Rosendals Trädgård.